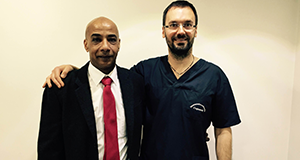 Cvejanovic dental practice employs experts for all dental procedures, with oral implantology being our specialty. We perfected methods of restoring the function and aesthetics of teeth without implants by using crowns and bridges. Our team is comprised of three doctors from the Cvejanovic family, with more than 80 years of combined experience. Free accommodation in downtown Belgrade for all our patients from abroad during their treatment. If you’re surprised by the number of our patients that take long trips, cross oceans and continents in order to solve their dental problems in Cvejanović clinic, the case of Mirjana Žutić from Canada will best disclose why that is. Patient came to us from Rijeka to solve problem with her teeth. 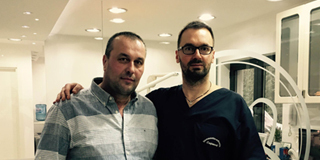 Not even a trip 7.000 kilometres long is too much when you’re searching for the perfect smile, Mijo Paraice knew that, so after an internet research of dentist clinics in Canada, Croatia and Serbia he chose Cvejanović clinic in order to solve his dental issues. Dr. Srdjan Cvejanovic attended the Nobel Biocare Global Symposium which is held every three years and this year was in NYC. In addition to numerous lectures, a pair of professional courses were held as well, and presented numerous innovations in the field of implantology by Nobel Biocare company, as well in the digital dentistry, that will very quickly come to Serbia, in the dental office Cvejanovic. 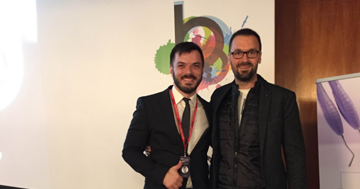 Dr Srdjan attended a very high quality congress in Budapest called Budabong 2016. One of the best DSD trainers, Florin Cofar, gave a great one-day course on the latest Digital Smile Design protocols which will be applied at the dental office Cvejanovic from now on. 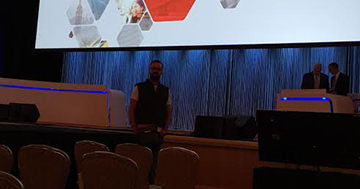 At the congress, lectures were given by leading members of the Style Italiano Group, an association with over 100,000 members which represents the leading aesthetic Dental Association. Cvejanovic dental office has procured two brand-new apartments as part of the renovation process to be used by patients who need to stay in Belgrade during their dental work! The apartments are located above the dental clinic, and patients can easily and quickly arrive to the office. The two apartments are luxurious, equipped with the most modern furniture, free WiFi, cable TV and other amenities for our patients' pleasant stay. Just like before, the only requirements are that the value of the procedure is at least 2000€ and that a reservation is made at least three months prior. First time patients will have to leave a 500€ deposit, that will be incorporated in the price of dental work. In case of quitting, the deposit will not be refunded. Dental practice Cvejanovic will also take care of your transport to and from the airport, bus station or radiology clinic.